- Royal purple candle, scented with lemon balm, cedar, heather and ocean. "I feel the healing powers of the white light and am drawn closer. I am healed and restored to wholeness." 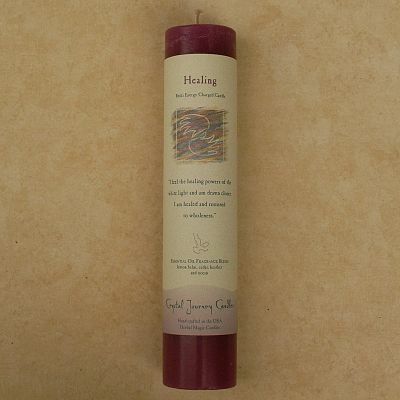 Do you have any other questions about our Reiki-Charged Healing Pillar Candle?